The United Kingdom is renowned for having some of the best universities in the world, but also some of the most expensive. Along with the rising tuition fees the cost of living can also be sky high. Here are the 10 most expensive universities in the UK. It doesn’t come as much of a surprise to see a London university as one of the most expensive in the UK! After all, it is the capital city and plenty of people want to study there. According to a study on prices, it will cost a total of £19,717.64 (around $30,000) per year, to study at the London School of Economics; totaling £59,152.92 (nearly $90,000) over three years. This factors in the £9,000 ($13,610) tuition fees, the average price of rent in the area, along with average living costs. The London School of Economics is renowned for business and politics degrees, which are a hit way to get a high paying job, but it does mean you’ll probably be in debt for quite some time, paying back all the student loans and fees. This university doesn’t rank in the Top 50 in the world, either, which can put some people off from applying. However, with famous students attending in the past, such as former US president John F. Kennedy, it is no wonder why this university is still so popular with wannabe economists and politicians. According to the World Rankings of universities, the University College of London (UCL) is the fifth best in the world. Add that to the fact it is situated in London and you’ll begin to understand why it costs an average of £17,984.89 (over $27,000) per year. According to the research students fork out a whopping £374.40 (nearly $600) a year on pints at the Student Union, which is one of the highest on our list. We knew London was expensive for drinking, but that is a lot of money! The tuition fees are among the highest in the country at £9000 ($13,610) and all of this adds up to one expensive education. In fact, it will cost the average student £53,954.67 (over $81,000) for the three years it takes to get a degree. However, there are plenty of notable previous students that went to UCL, including Dark Knight director Christopher Nolan, the whole of Coldplay including Chris Martin, and both the managing directors of Jack Wills. 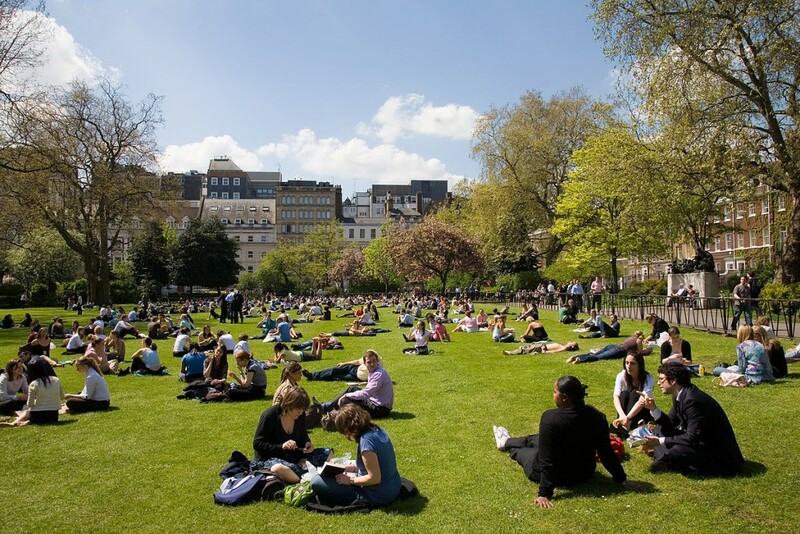 If you want to get a good education and don’t mind spending a small fortune, then UCL may be a good choice. Tying in second place with Cambridge University in the World Rankings, Imperial College London is renowned around the world for providing some of the best education possible. They have also been voted as the best university for job prospects in the UK, so you know you’re in good hands. Courses range from Aeronautical Engineering to Medicine, so if science is your cup of tea then Imperial College London is the place for you. They are, however, just behind UCL in terms of the cost of living and have the same tuition fees as the previous London universities. According to the study it will cost most students £17,940.93 (just over $27,000) a year to study at Imperial, which is a total of £53,822.79 (around $81,000) over the three years. Plus, most students will need longer than three years at Imperial for their chosen professions, which means it’ll cost even more. Most people who graduate from Imperial College London become world renowned mathematicians, scientists and doctors, and several have won Nobel Laureates and some even Nobel Prizes. No wonder it is one of the best universities in the world! As soon as we leave the city of London the prices drop by quite a bit, due to lower living costs. Oxford University is joint fifth with UCL in the World Rankings of Universities, but is quite a bit cheaper for students to attend. The tuition fees are the same as they all are in the top 10, but the rent is at least £1000 ($1510) cheaper than most London universities. This means that the average year at Oxford University costs £16,846.85 or £50,540.55 for the three years. Those of you who prefer to work in dollars that is around $25,000 per year or roughly $76,000 for the three years. Oxford University has an impressive list of previous students, which includes 26 British Prime Ministers, around 30 International Leaders, 50 Nobel Prize Winners and around 120 Olympian medalists. If you want to wander the same halls as some of the greatest writers, poets, journalists, world leaders and lawyers, then Oxford University is the place to study. Just be prepared to save up a lot of money or end up with a lot of debt, by the time you graduate. According to the British newspapers, Cambridge University is the number one educational establishment in the UK. The World Rankings also has it in joint second place with Imperial College London, which is probably why so many people have an ambition to end up studying there. Unfortunately, being one of the best universities in the world comes at a price for prospective students. The average year at Cambridge will set up back £15,999.04, which is just over $24,000. If you stay in for at least three years then it will cost you £47,997.12, which is nearly $73,000. Pretty pricey, but if you want to attend one of the best universities there is then it will probably be worth every penny. Charles Darwin, Stephen Hawking, Nobel Prize winners and even famous actors such as Emma Thompson have all attended Cambridge University, so you could be walking in their footsteps within the historic halls. Courses range from anthropology to zoology, so there is something for everyone at Cambridge…If you can afford to attend and manage to secure a coveted place in this world famous university. The cost of living in Exeter is what pushes the price up of this university, with food, drink and even car insurance all being pricey in the area. However, it is still a lot cheaper than one of the London universities, at an average £15,097.29 per year or nearly $23,000. By the time you have completed a three year course at Exeter you’re likely to have spent £45,291.87 nearly $69,000! In the World Rankings this university sits at spot 161, so it isn’t one of the best universities in the world either. However, there are a whole load of famous people who attended Exeter University, including world famous author J.K Rowling, Radiohead front man Thom Yorke, and even royalty such as Zara Philips. Looking at past students it is easy to see that Exeter University is definitely the place to go if you want to work on your creative talents. With courses such as Art History and Visual Culture, along with Film Studies and Modern Language, this is definitely the university for those who want to work on their creative side. Bath University is another one that doesn’t rank too highly in the World Rankings, at number 179, but again it is the cost of living here that bumps the price up. High rent prices and even pricey gym memberships will make living in the beautiful city of Bath an expensive experience. Just behind Exeter in the price charts, you’re looking at £15,066.36 ($22,700) per year to attend this university. Finish your three year course and you’ll have been set back an average £45,199.09 ($68,300). Bath has a pretty impressive number of students from outside the UK, with around 25% of their intake every year being from abroad. One of their most famous and prestigious students is Florence Muringi Wambugu who is a world expert in plant bio-technology, also known for using her knowledge to increase food production in Africa. Bath has also regularly been voted as one of the most beautiful cities in the UK, which could be what attracts students from far and wide. If you don’t mind paying a small fortune to live and study in a beautiful city, then perhaps Bath University is for you. Durham may be cheap for boozing and events on campus, but the rest of this university experience is not cheap. This UK university is 92nd in the World Rankings, but according to British newspapers it is the 6th best university in the country. Perhaps that is why so many people want to go here and why the cost of living has risen quite a large amount, since it became a popular studying destination. A year at Durham University will cost on average £14,819.74 per year, which equates to £44,459.22 for three years. In US dollars that is just over $22,000 per year or nearly $67,000 for the three years. Some of the most popular courses at this university include accounting, economics, business and management, and finance. If you’re looking to become a top business man or woman, then Durham University is potentially the one for you. This is also the university which was attended by one of the most famous James Bond’s in the world, Sir Roger Moore. Maybe that’s why it became so expensive to live and study in Durham! The cost of living in Surrey is the second most expensive on our list, with pizza for a year costing you nearly £200 ($300); an expensive luxury if you’re a student trying to get by. Gym memberships, going out and drinking, and even car insurance are all extremely expensive in Surrey which is what has boosted the price up to £14,754.87 (over $22,000) per year. After three years at Surrey University you’ll have a degree, but also £44,264.61 (nearly $67,000) poorer on average. According to the World Rankings, Surrey University isn’t all that great, sitting at position 314. However, British newspapers say this university is in the top 10 in the country. We’ll let you decide! If you want to be a part of groundbreaking research and discovery, then Surrey University is the place to go. Researchers at this university have discovered the laser diode (used for CDs and DVDs), how to early diagnose prostate cancer, and also saw Sir George Edwards as a student who was the leader of the team which developed Concorde. Not a bad track record in research and development then! Last up is Loughborough, which has some of the most expensive living costs out of all the UK universities on this list. Car insurance is nearly on par with London and their drinks prices are the second most expensive (just behind Cambridge). This has bought the year cost of living and studying at Loughborough University to £14,655.26 or nearly $22,000 if you prefer dollars. That means around $66,000 for three years studying, or £43,965.78. Loughborough University ranks 265th in the World Rankings and 14th in the UK, according to British newspapers. Their Business and Economics department has produced some extremely impressive business men and women, however, and their sports department is renowned for Olympic athletes such as Sam Ruddock and Lizzie Simmonds. If you want to get far in business or want to be an Olympian, then maybe spending all that money on Loughborough University isn’t such a bad idea after all. However, don’t there are other universities in the UK if you would prefer a cheaper education and aren’t that fussed about winning gold medals or become a world renowned business person.